Regular cannabis strains are strains from seeds that are produced by the natural method of pollinating female plants with a male plant. Regular seeds will grow into plants that can be either male or female. The benefit of growing regular cannabis strains is that once the males are removed from the grow, these true female plants will be particularly strong and stress-resistant. For example, a true female will hardly ever turn into a hermaphrodite. The increased resistance and tolerance of regular cannabis strains can make them ideal for novice growers. Experienced cultivars can use regular cannabis strains if they want to try out a new grow area or growing method. With regular seeds, you know that your cannabis plants will grow tough enough to withstand variations in growing environments and that your plants will usually recover. Zativo’s list of the top 10 regular cannabis strains can help you find the right regular strain! Cannabis aficionados know Sensi Seeds’ Big Bud as a strain that can give out-of-this world yields, but the strain’s history is also quite interesting. Big Bud had her origins in the USA but when the War of Drugs intensified back in the 1980s, she was brought to the safer Netherlands out of fear for possibly losing such exceptional ganja genetics in the turmoil forever. Since then, devoted breeders have tirelessly refined and improved the strain. Big Bud originally started out as a hardy Afghani with Skunk influences. Her growing vigour and yields made her an incredibly popular strain in no time. Sensi Seeds’ variety of Big Bud takes the strain back to those original roots and it definitely shows. She impresses not only with extraordinary production but also with her sweet, fruity aroma and a very potent high. While she could possibly “knock-out” less experienced smokers with her sheer power, she is a strain that is excellent if you want the ultimate relaxation or want a plant that has high medicinal potential. Serious Seeds’ legendary AK-47 has already won countless awards in many categories. The famed strain is still taking the top spots in award categories that range from best sativa, hydro to hash extracts and more. Most cannabis aficionados today will likely agree that AK-47 is one of THE most known cannabis strains ever created and you will in all likelihood have troubles finding someone who never heard about or doesn’t have experience with this famous strain. What makes Ak-47 such an outstanding cannabis strain are her many great qualities. She comes as close to the “perfect strain” as it can get, no matter how you look at her. The strain combines everything that you could wish for in a top-class marijuana strain, from her extremely high yields, the fact that she is very easy to grow to her extraordinary potency. AK-47 can be the perfect strain if you want to grow a very powerful strain that has high medicinal potential without the hassles. Bubba Kush by Humboldt Seeds has two famed, multi-award-winning parents. The strain is a cross between the very popular Bubble Gum and legendary OG Kush, a combination which is almost guaranteed to give birth to another fabulous super-strain. Growers love Bubba Kush for her compact size, which make Bubba Kush manageable regardless of what growing environment she’ll grow. Due to her compactness, she can be the ideal plant for small spaces indoors but she can also grow well outdoors in dry and sunny climates and is perfect for greenhouses. Another plus is her fast flowering time where she develops gorgeous, densely packed buds that are brimming with resin. With her famed parents, it’s not surprising that Bubba Kush’s aroma is that of a true first-class cannabis strain, making for an excellent smoke with notes of sweet fruit, wood and subtle notes of oil. As you would expect from a potent Indica, her effect is very powerful, calming and deeply relaxing and can last a long time. Jack the Ripper, TGA Genetics’ flagship hybrid, was created by breeder Subcool with the aim to make their famed Jack Cleaner strain available in seed form. In the cannabis scene, Jack the Ripper is considered one of the fastest lemon Hazes that is available today. The cross between a Jack Cleaner and Space Queen flowers in a very short 8 weeks and it displays mostly Sativa characteristics. If you wonder why some think that Jack the Ripper is one of the best Hazes available, you will probably know why when you see the incredible amount of resin that she is producing. Experience the strain’s amazing citrus flavour and all doubts that we’re dealing with a first class quality strain will be erased! Some phenotypes of Jack the Ripper have been measured a respectable 20% of THC, which makes her effect super-potent, fast hitting and very long lasting. 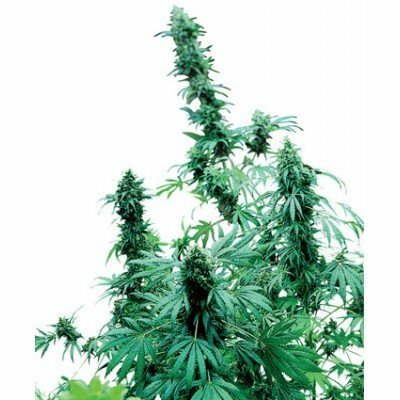 Early Skunk by Sensi Seeds is a true all-rounder strain that will grow and thrive in almost any conditions. Growers love Early Skunk for her hardiness and the fact that she’s growing fast with always reliable results. This is a strain where even less experienced growers can look forward to lush harvests of some amazing dank and frosty bud, even in less than optimal northern climates. You can easily grow this strain outdoors in your garden, on your balcony or anywhere else as long as she will be getting sunlight. Thanks to her Indica genetics, Early Skunk rewards with very compact and resin-encrusted flowers and respectable yields. The strain’s Sativa side comes through when you experience her cheerful, happy high that goes together with her very powerful Skunky body stone. The result is a greatly balanced effect that is energizing and super-relaxing, all at the same time! Kalijah by Reggae Seeds doesn’t break records when it comes to yields, but this is only a minor drawback that you will happily accept when you experience her other, great qualities like her amazing flavour and spectacular high. Growers find the strain attractive since she is an easy-to-grow plant that can thrive with just some basic care. Kalijah doesn’t require lots of nutrients like some other strains and she can grow in almost all spaces, perfect for growing in pots in your garden or on your balcony. Despite the easiness to grow her, she will reward with massive and very juicy, resinous buds. Among many cannabis strains, Kalijah stands out as a very beautiful plant that will dazzle everyone with her spectacular colours. Her Blue Heaven parent gave Kalijah a distinctive smell that matches the earthy and citrusy scents from her Afghani side beautifully. Aside from her unique and pleasant aroma, she will give an equally pleasant uplifting and energizing high that makes Kalijah an ideal daytime smoke if you want a boost of creativity. Strawberry Sour Diesel is one of Devil’s Harvest Seeds’ most popular cannabis strains and it’s easy to see why. The cross between a Sour Diesel and an elite phenotype of a Strawberry Cough from Dutch Passion Seeds has a high content of CBD, which makes her an ideal plant for medical cannabis users who want a more balanced effect. But Strawberry Sour Diesel has not just very high medicinal potential. She provides all that power without sacrificing a thing when it comes to her taste, flavour and yields. Growers love her because she is one of those plants that finishes early while giving amazing yields together with that she is an ideal plant if you want to grow in a SOG or ScrOG style. When smoked, you will immediately note her very intensive taste that nicely balances accentuating citrus notes with the distinctive Diesel aroma. Strawberry Sour Diesel is a prime example for a great medical strain without a flaw! Afghan Haze by Mr. Nice is a mix between an Afghani and Haze and a true old-school strain. She was first bred in the 90's where she became an instant classic and all-time favourite for many because of her potency and other great qualities. This Sativa/Indica hybrid doesn’t need a lot to grow, some moderate care is all that’s needed and she’ll flourish. She is one of those strains that are great for growers who already tried a few easy strains and are now looking to get their feet wet with some of the more advanced Haze hybrids. Give her an abundance of light and plenty of purified water and she’ll thrive in many types of grows including hydro or soil. With her classic genetics, it’s not surprising that her effect is very potent and long lasting. She combines a powerful mind and body stone that will greatly help you relax and focus. With her potency, Afghan Haze is also a very powerful medicinal plant that can help relieve chronic pains, stress and depression. Bubble Gum by Serious Seeds was originally developed in Indiana, USA. In time, the seeds reached Europe where two breeders from the Netherlands created their own varieties of this great strain. Serious Seeds’ version of the strain emphasizes the sativa qualities of the strain, which makes their version true to the roots of the original. Her sativa side shows with the strain’s growing vigour and strong growth and especially when you experience her sweet Bubble Gum aroma of her juicy buds. This famed and unique taste together with some of her other qualities easily explain why Bubble Gum won already many rewards. She won several of the High Times Cannabis Cups together with other awards in countless other competitions. ‘Soft Secrets’ magazine awarded Bubble Gum “Plant of the Year” in 2006. However, Bubble Gum doesn’t just delight with her sweet Bubble gum flavour. She has a positive, uplifting and euphoric effect, just the right smoke if you want to have a good time at social gatherings, parties or festivals! Berry Bomb by Bomb Seeds brings us the outstanding flavour of the popular Blueberry but with bigger yields and higher potency. To create this extraordinary strain, Bomb Seeds took Bomb #1 genetics and combined them with a hand-selected elite Blueberry mother. If one thing is for sure, it’s that Berry Bomb really earns her name. She impresses with truly explosive growth while being very easy to grow, indoors or outdoors. Another one of her explosive features is her signature bomb upwards growth where she’ll grow one fat single cola with large internodal distances that ensure maximum yields. She is easy to trim which makes the plant well suited for ScrOG-type grows. Like other strains from the famous Purple/Blue family, she displays dazzling colourful hues depending on temperatures. She will give a classic Indica high that is relaxing and calming but with some sativa qualities for a more balanced effect that doesn’t knock you out.